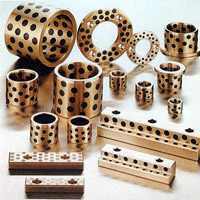 The product is manufactured using high tensile manganese bronze, efficiency machines and innovative techniques. These products are mainly used in applications of high load & moderate speed. It has the ability to withstand the temperature up to 650oC. We also have the capability to develop these bushes and plates as per any specifications of our clients.